From an evolving market structure to technology innovation, the community solar landscape is transforming quickly. What does this mean for 2018? Clean Energy Collective (CEC), the nation’s leading community solar developer and solutions provider, forecast what is on the horizon for community solar. CEC’s experts offer the following 10 predictions for 2018. “We are inspired by the surging demand for renewables and the expectation that community solar will play a leading role in solar’s growth for years to come” said Paul Spencer, CEC Founder and CEO. 1. Strategic partnerships will accelerate the drive to scale. 2017 saw solar financiers and asset owners looking to become more involved in the earlier stages of community solar development, seeking the potential for stronger profits indicative of this asset class; evidenced by CEC’s joint development agreement with ENGIE. Leveraging shared financial and technological resources will accelerate the development and deployment of more and larger community solar portfolios in 2018, broadening access to shared renewables to a significantly wider customer base. 3. Commercial and industrial customers will take a larger share of capacity. Solar procurement by commercial and industrial customers grew substantially in 2017 as more businesses looked to renewable energy for cost savings and to boost their sustainability credentials. One of the most critical strategic initiatives for utilities is allowing key C&I customers to procure renewable energy from a dedicated offsite facility/program via community solar. Like residential customers, shared off-site generation expands the accessibility of renewables purchases beyond the Fortune 100 to medium and small companies that lack the resources for separate project development. In 2018, community solar will take a lead role in providing commercial and industrial companies with a path to renewable energy. 4. Demand for technology will increase from both asset developers and owners. 2017 saw effective progress toward reducing the complexities of community solar programming by standardizing policies, procedures, and technologies where possible. Enterprise-level software opened the gates to greater efficiency and accuracy throughout the proposal, e-commerce, and customer engagement processes. For 2018, the integration of multi-megawatt projects and portfolios means integrating with significantly more utilities and engaging an exponentially larger number of customers. The biggest winners in 2018 will be IT solutions that seamlessly manage customer acquisition, credit allocation, and collections with lower costs and less risk through automation, not only for single community solar programs but for entire energy portfolios. CEC is investing significantly in advancing its Community Solar Platform and IT architecture to continue to shape and serve the next-generation of community solar programs and community solar customers. 5. Data security will be a key value proposition. As the shift to mobile and cloud technologies becomes the norm in most industries, data vulnerability is top-of-mind for all IT administrators. Data security processes and planning for community solar programming, particularly regarding the requisite software administering bill credits and customer benefits, is vital for the protection of utilities, consumers, and the grid. 2018 will see an increased focus on available and emerging technologies delivering information security to meet the industry’s rigorous requirements. Security certification of community solar software solutions will quickly become the norm, raising the bar in solution maturity similar to financial technology solutions. 6. Project finance and product strategies will move closer to balance. Expanding project financing options and sources is still at odds with the move toward more consumer-centric products. Both purchase and subscription programs have been subject to relatively strict terms from finance partners, limiting flexibility in product strategy. We believe 2018 will be turning point toward more adaptable financing as additional risk mitigations emerge and the finance market better understands the reduced risks inherent in community solar solutions. New technologies for acquiring and engaging customers, increasing participation by investment-grade companies, and further validation of community solar’s low customer default and streamlined ability to re-subscribe replacement customers will allow for shorter contract terms, reduced credit score thresholds, and an overall enhanced customer buying experience. 7. Big capital will move into the market. The underlying variables of community solar programming – like multiple customer profiles, unique technology requirements, and maintaining full subscribership – has been thorny for capital markets. However, in 2017 we saw a slow but measured migration from boutique investors to the more mainstream financial community. Bigger financial players are becoming more familiar and comfortable with community solar’s long, optimized assets and predictable cash flows, and are now turning their focus to addressing the mechanisms for market development. 2018 is the year large institutional investors will move in, positioning community solar as the next place to put low-risk capital at scale. 8. Utilities will launch larger programs more frequently. Many utilities blazed the community solar trail in 2016 and 2017 to integrate DER solutions and satisfy customers. Several of the U.S.’ largest utilities now have operational community solar programs, and dozens more have initiated programs — in regulated and deregulated markets, by investor-owned, cooperative, and municipal utilities. Such pervasive exposure has provided sufficient evidence for the best practices that allow for low-risk, cost-appropriate, and highly engaged community solar programs. In 2018, we expect less “piloting” by first-time utilities and more comprehensive, full-scale deployments by those currently testing programs. This move to scale will provide further economic efficiencies, driving even more benefit to utilities and customers. 9. Prevailing policy will accelerate market development. Advanced tools and resources are emerging to help policymakers, regulators, and advocates navigate tariff and compensation strategies, incentives, land use and siting criteria, interconnection issues, consumer protections, and more to balance a market’s diverse interests and a program’s economic viability. In 2018, state policy development will take on a renewed urgency, and we expect to see community solar raised as a key platform item in state and federal elections in November. Streamlining adoption of well-vetted enabling policies and regulatory frameworks in slower-to-adopt states will translate into faster legislative action, fewer pilot programs, and more receptive markets. 10. Uncertainty at the federal level will temper enthusiasm. Despite all the positive indicators, unknown risks at the federal level could pose new challenges for the industry in 2018. Complications from a possible ITC tariff, the federal tax overhaul, continued anxiety with EPA policy direction, and the DOE’s renewed interest in coal are ingraining a degree of uncertainty that is difficult to quantify. On the positive side, the solar industry is gaining momentum through increasing numbers of legislators and government officials across the country supporting community solar thanks to a well-informed base of industry advocates. This advocacy is fueled by solar industry associations, executives, employees, customers and enthusiasts, and in 2018 we will see an even stronger and louder coalescence of stakeholders with an amplified grass roots movement that will more deeply engage with elected officials and regulators. Equally important, rapidly declining solar costs are allowing solar to become a much larger part of the national energy mix simply due to its recent status as a low-cost power solution. This fact has increased utility support for many pro-solar initiatives. 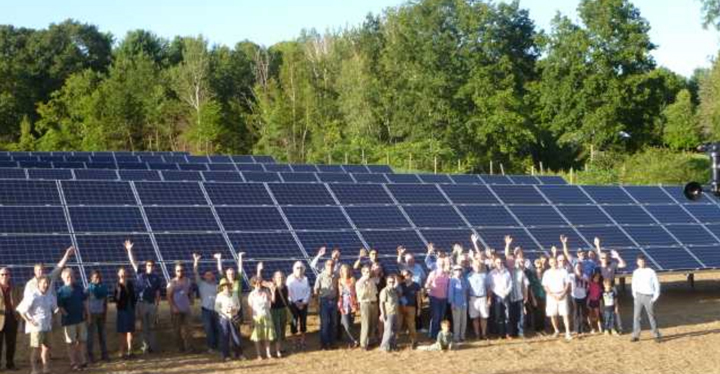 Clean Energy Collective (CEC) is the nation’s leading developer of community solar solutions. CEC pioneered the model of delivering clean power-generation through medium-scale solar PV facilities accessible to all utility customers. Since establishing the country’s first community-owned solar array near El Jebel, Colorado in 2010, CEC has built or has under development more than 130 RooflessSolar projects within 33 utility service territories across 15 states, serving thousands of customers, and representing more than 350 MW of community solar capacity. CEC is also the leading provider of community solar software and services to the utility, development and financial industries through its Community Solar Platform. Visit www.cleanenergyco.comfor more information.